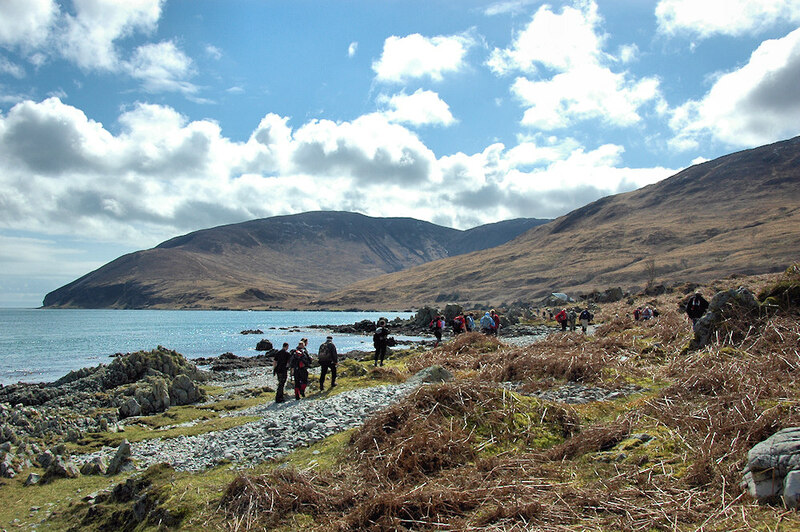 A group of walkers approaching the bothy at An Cladach during an Islay walking week a few years ago. The bothy is in a wonderful location at the southern end of the Sound of Islay, McArthur’s head just out of view behind the steep cliffs in the distance. This entry was posted in Landscape, Repost, Sunny Weather and tagged An Cladach, Islay, Sound of Islay by Armin Grewe. Bookmark the permalink.